I love the fall in central NY. The crisp air, the changing colors of the leaves, and the smell of apple pie baking are all my favorite parts of fall. I love sitting in the house on a Sunday watching football with my husband and making comfort foods. 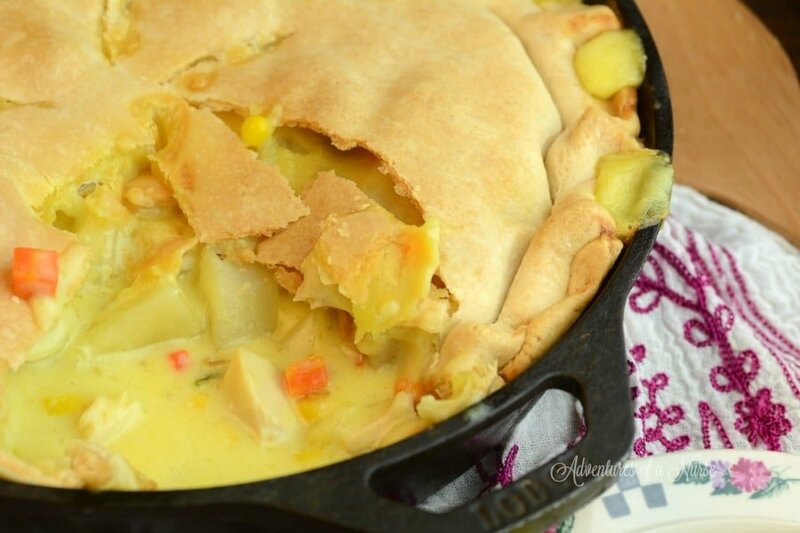 Chicken pot pie is one of my all-time favorite comfort foods. 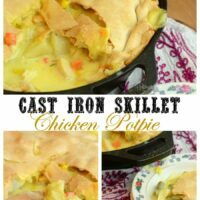 I found a cast iron skillet Chicken Potpie recipe that is simple to make and tastes great. Also find my Cast Iron Skillet Apple Crisp for a nice easy dessert. 1 cup froze mixed vegetables. Directions: Preheat oven to 350. Melt butter and mix in flour to make a roux. Pour in chicken broth and half n half and continue cooking on a medium heat until bubbly and thick. Mix in chicken breast, potatoes, and mixed vegetables. Place one pie crust in the bottom of your cast iron skillet. Pour mixture into your shell. Top with another pie crust and seal edges. Bake for 1 hour or until top is golden brown. Remove and serve. 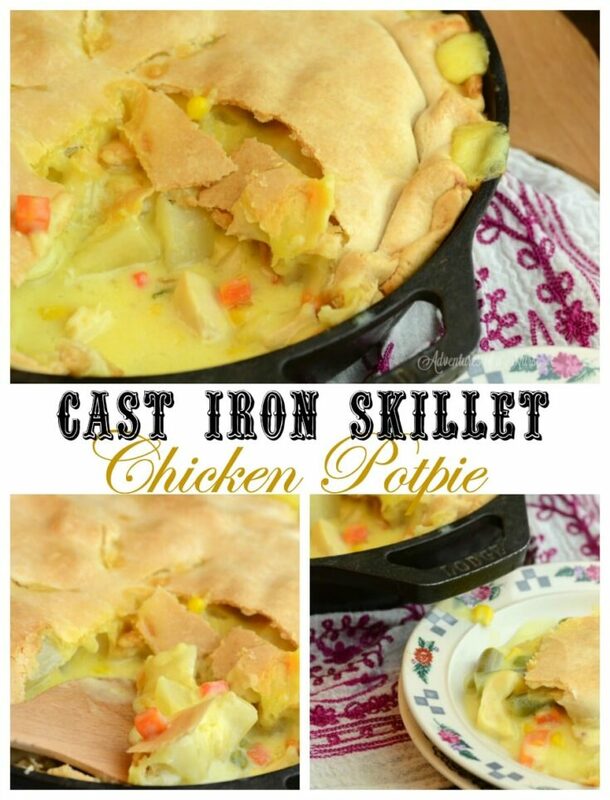 Been looking for a yummy pie recipe to try with my cast iron skillet. what size skillet do you use? Can you use already cooked chicken? Thanks M.